At this years APS intersociety meeting in San Diego the lab participants claimed a considerable portion of the prices. 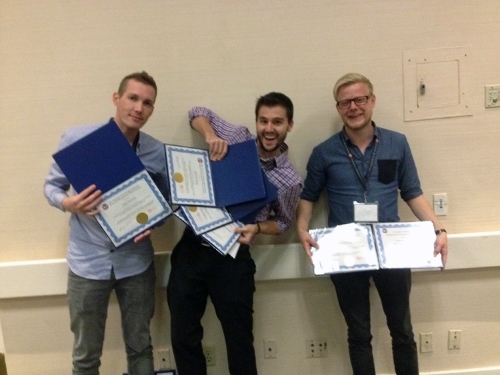 Jonas, Anders and Heath received travel awards on the merits of their abstract, Anders also won the third prize in the poster competition and finally, but not least Heath won the runner up price for the very prestigious Scholander award. As is also clear from the picture – Johannes did not win any awards in his attempt to take a focused photo!